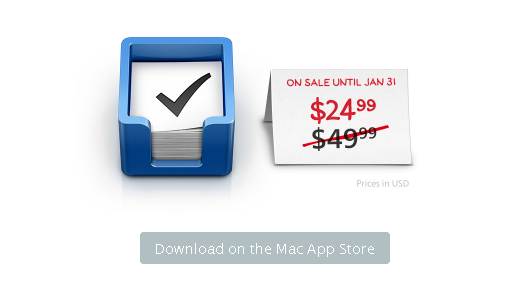 Things for Mac – On Sale! I don’t generally post a lot of sale stuff … because well we’d be posting about sales all day every day. But this one was too good to pass up. If you’ve been on the fence about getting into the ‘Things’ ecosystem for to-do management (our slightly old review), this might be the best time to do it.